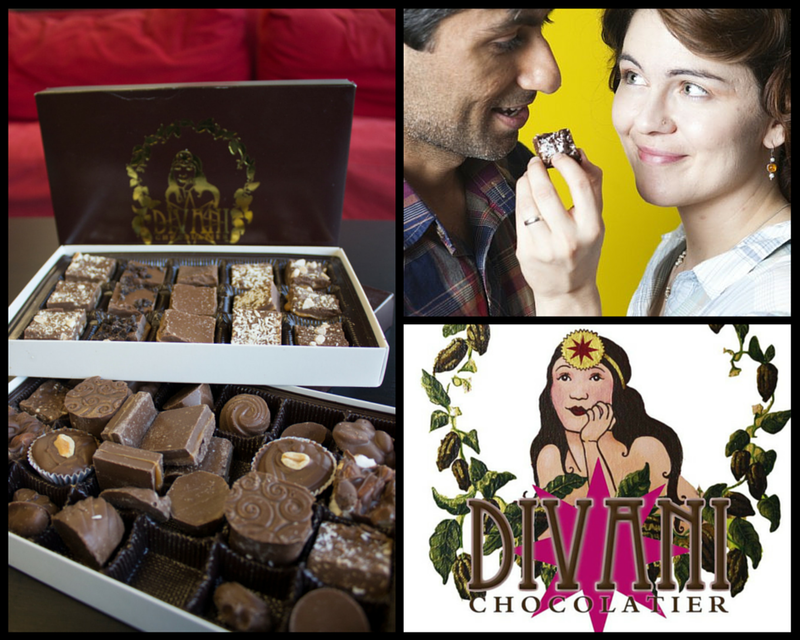 At Palo Alto Software, we’re celebrating Valentine’s Day a day early and it’s all thanks to the perfect timing of a few boxes of chocolates from one of our LivePlan customers, Divani Chocolatier. Divani Chocolatier is a small Pennsylvania-based business with a big mission: to create a first-class chocolate experience. It was started in 2008 by a husband and wife partnership and today, is one of Foxburg’s hotspot tourist destinations. Browse through Divani’s website and you’ll get insight into their name as well as a longing for something sweet. All of the chocolates are handmade from the finest Belgian chocolate. If you’re curious about what goes on in a chocolatier, you need look no further than their blog. Divani Chocolatier’s website and their sumptuous images do the chocolates far more justice than our own. Especially if you have a look at their Pinterest or Facebook page.